What’s That Yellow Thing in the Sky? Well, I weighed myself this morning. I haven’t really weighed myself for a few weeks. I am currently 131.3kg. That’s a loss of 14.4kg since I started the pre op diet at the start of October. The best bit is that my BMI is now 49.9…. I’m under 50 for my BMI! I’m seeing the GP on Monday, so I am hopeful that my blood pressure has remained down & I won’t need to restart my blood pressure medication. As I mentioned last time, I have been having some pain on my right side in my stomach. Well, yesterday was one of the worst days for this pain. I had my groceries delivered in the morning. I had to put them away, which went reasonably well. I also needed to cut up the fresh chicken breasts for Hamish’s food, & put it into a container so I can weigh it out for him as he is fed. From previous experience, I know that this action can irritate this pain. So here I am, cutting up chicken breast & Hamish is around my feet, constantly meowing because he hasn’t been fed yet. Mind you, Hamish always wants to be fed. He is on a restricted diet. Despite the smal amounts of food, he’s still going to be a big boy. Hamish kept trying to jump up onto the counter where I was cutting up his food. I would have to try to keep him down, at the same time as I was cutting his food. At one point, he managed to get right up onto the bench, not just hanging onto the edge by his claws. He didn’t get near the chicken though. Well, by the time I had finished cutting up the chicken & fighting him off, my stomach felt like it was on fire. I needed t feed Hamish, but my stomach was hurting so much that no matter how slowly I tried to reach his bowl on the floor, I couldn’t get to it. There was no way I could reach it. This meant that I couldn’t put the bowl on the scales to weigh out his food. So I had to just guess the right amount of food & then drop it into his bowl from a standing position. Just one small problem….. Hamish could smell the chicken in my hand & I had to try to get him out of the way so I could get the food in the bowl, & not all over the floor. I went back to bed for a while after that. I had to be careful how I got into the bed because of the pain. Later that day I had been cooking my dinner, but I don’t know what I did to agravate my stomach. The food was prepreared, all I had to do was actually cook it. Whatever it was, it was very painful. In fact, it was so painful I couldn’t get through the pain to sit down to eat my meal. The pain was so bad that I had to take one of my strong pain killers. I try not to take them if I can avoid it. Or if I do need to take it I take it later at night so I can sleep with little or no pain. Well, this was before 6pm. Even so, it took me nearly 20 minutes before the oain had subsided enough where I could get into a seated position. Not fun. I just wish this would stop. Other than this pain, the food side of things is going well. I am learning what I can & cannot eat & how much of it, & how fast. The answer to that last one is…. Not very. I was at a meeting on Monday night, & many of us have dinner while we are at the meeting. I chose something I thought was reasonably soft & mushy on the menu. It was a 3 Mushroom Ravioli. I ate about 4 ravioli during the meeting. That was all I could accommodate. I ate them slowly & thought I chewed them well. I had some pain, which told me to slow down. I just breathed through the pain & it subsided. This has been the only real time there has been an issue with food. Unfortunately, they never came to clear the table before we left, so I was unable to ask to take the rest of the meal home. What a waste. Well, I am pleased that my weight is finally dropping. That’s good. I’ve lost nearly 4kg since the surgery, in just over 3 weeks. So, I have another 30.3kg to my surgeon’s goal weight on 100kg. There is about 70kg to my ultimate dream goal. Although, if I can get to somewhere around 75kg I may reassess my ultimate goal. I just would like to get to a BMI which puts me in the Normal range, or at least in the Overweight range, rather than my current status of Super Morbidly Obese. But so far, I have reduced my BMI from over 54 to just under 50. It’s a start. More work to go. Now if we can get this pain in my stomach under control, I will be able to do more exercise & work the weight off faster. When I came home on the Monday after my surgery, I arrived home by taxi late in the afternoon. Because it was taking me so long to drink the apple juice they supplied with my meals, I actually was able to bring home three of the juices and put them in the fridge. My right side was very painful. I decided I wasn’t going to try to get in or out of bed for a few days, so I slept in my recliner for a few nights before I even attempted to get in or out of my bed alone. I placed a grocery order online for delivery the next day, so I would have food (liquids) in the house and one of the first things I did, after very slowly unpacking my bags, was to make some jelly (jello). At least by having my groceries delivered, I didn’t have to worry about trying to pick things up or carry anything even remotely heavy for a while. I was given a number of different medications when I was released from the hospital. One was a series of injections I needed to give myself every morning. These injections need to be into muscle, not into a vein. A bit like an insulin injection for a diabetic. When I started doing the injections, it would take me five minutes or more to get up the courage to actually put the needle into my skin. By the end of the first week, I no longer hesitated. I would just sit down and put it straight into the leg and push the plunger. I was very proud of myself. I was given very strong pain killers too. The surgeon had prescribed a dosage of 2 tablets on a regular basis. I have only taken just one at a time, and usually only once a day. Mainly at night. I have to crush the tablet and put it in a small amount of water in order to take it. I started walking on the weekend. There is a park on the street above my own. The Council has installed some gym style equipment in two places in the park. Steps, bicycles, eliptical walkers, and some others. They also installed a walking track that goes around the park. There are some seats placed around the track too. On my first walk, I walked to the park and then started my walk around the park on the track. I stopped and rested for about five minutes about half way around the track. Then I got up and finished the circuit and then went home. The next walk, I walked up to the park and then walked twice around the track, without stopping, and then walked home. I was feeling a bit sore on the right side, so I waited a few days before I went for my next walk. This time I walked up to the park and then walked three times around the track, without stopping, and then walked home. That was just under 2km. That was a good start. Other than some pain in my stomach muscles on the right side, it felt good. I am lucky with my house. Once you are inside the house, it is all on one level. No stairs, or different levels to negotiate. To come in at the front door, there are about four steps. There are no hand rails on those steps, but because the door is recessed into the side of the house, the walls are quite close, so you can use the walls to steady yourself. At the rear of the house, there is a ramp to the back door. This means that there is only one step into the house from the top of the ramp. For the first week or so, I only went into or out of the house by the ramp and the back door. I made a mistake one day by leaving the house by the front door to go to the letter box to retrieve the post. There was a slight twinge going down the steps, but the biggest problems was the walking back up the steps. The pain in my stomach really let me know it wasn’t happy with that. It meant that sitting down hurt too. Once I was in my chair, it was alright, but it was the getting seated that hurt. Getting up could be a problem at times too. When I went to hospital in such a rush, I had put my blood pressure medication into my toiletries bag. Only problem was, by the time I got to the hospital, I had forgotten that I had done that. I thought I had put them into a pocket of the wheelie suitcase, as I had originally done with the original carry bag I had intended to take to hospital. So I thought I had accidentally forgotten to bring my medication to hospital. The anesthesiologist was actually pleased I didn’t have my medication for the surgery. He didn’t want to run the risk of my having a sudden drop in blood pressure during the operation. I told the hospital the name of the medication, but I wasn’t sure of the exact dosage of the tablets. I told them that if they checked with my GP, he would be able to tell them the exact dosage. During the time I was in hospital, I was never given the blood pressure tablets. They were taking my blood pressure multiple times every day and were happy with the readings. So when I left hospital, the surgeon told me to keep off the blood pressure medications until I saw my GP. I saw my GP a week after coming home. I took all the medications I had been given when I left the hospital with me to show the GP, and he made a note of them all on my records. He took my blood pressure and was very pleased with it. He has told me to keep off them until he sees me again (next Monday). He said that sometimes the readings can be good, but sometimes high blood pressure can come back a couple of weeks later. If my blood pressure is still good next week, I think he will tell me I don’t need the tablets any longer. That’s not bad. It’s a lot faster than expected. Originally he had said he would reassess the need for the tablets when I got to 120kg. I was originally supposed to pick up Hamish from his ‘holiday’ at the vet on the day I was released from hospital. I decided to extend his stay until the Thursday. That way I had a couple of days at home without having to worry about bending to pick up his bowl or do other things Hamish related. On the Thursday, I left the house (by the back door) for the first time since I came home and walked to the bus stop. I caught the two buses I needed to get to the vet. Hamish had been a very good boy while he was on holiday. They said they were going to miss him because he had been so good and apparently loved getting cuddles from the staff. They brought him out in his carry box and helped me carry him outside. I organised a taxi to bring him home from there. I knew I wouldn’t be able to carry him home on the two buses, and especially not carry him home from the bus stop. I noticed, later that night, that Hamish had changed. When I had dropped him off at the vet, he was still very much a kitten. A big one, but still a kitten. When I got him home, I noticed that he not looked more mature. Not quite an adult cat, but at least a ‘teenager’. He was only gone for nine days. He’s not even 30 weeks of age. I was phoned a couple of days after I got home from hospital. It was about a job I had applied for many weeks ago. In fact, I had applied for this job so long ago, and had heard nothing about it, that I thought I hadn’t been successful with my application. Well, they were phoning to invite me to interview for the position the following Tuesday. I did mention that I was just home from hospital and recovering from surgery, but that I thought I would be well enough to make it. I was the first person they phoned to organise an appointment. Not sure if that means anything or not. I looked up how to get to the interview, which was being held at the location where the job was to be located. To get there from my house would need three buses and a 15 minute walk, for about 1.5 hours total travelling. The problem is, I didn’t think I would be up to such a long journey at this stage. The problem is the middle bus. It only runs once an hour in each direction. Luckily, a friend and her husband offered to drive me to the interview and I would get a taxi to get home. My GP wasn’t happy about my going to the interview, until I said that someone was taking me in a car and I would get a taxi back. He then gave permission for me to go. I am waiting to find out how the interview went. It’s only Part-Time (30 hours) and a Maternity Leave position, but because I now don’t have any debt, I will be able to easily cope on the lower end of the salary range. I still have some of my Superannuation money left. If I get the job, I will look at getting a small second hand car. It will make getting to work much easier. To drive, it will take about 30 minutes in traffic. Less if there isn’t any real traffic in the way. The pain in my stomach, nearest the incision where they did the most pushing, pulling and cutting, was doing really well. Not too painful. I was able to stand, sit, bend over slowly to pick small things from the floor and so forth without real problems. On Thursday, the Sister Missionaries came by to help me. My house is a mess. There, I’ve said it. It was a mess before the surgery, so I can’t use my recovery as an excuse. Anyway the Sisters came to help. We decided to just work on the L shaped hallway. It’s all tidy now, we decluttered and dusted and cleaned and vacuumed the floor. Well, I over did it. I helped get my vacuum ready for use. It is a Bissell and has a water tank at the front where all the dirt goes into the water which makes disposal easier later. Well, I realised I hadn’t emptied the tank the last time I used the machine. So I took the tank and emptied it and cleaned it out and put water into it and put the tank back into the vacuum. Well, it’s not that big a tank, and there isn’t a lot of water in it, but it must have been enough. My stomach muscles really started to let me know that they were no longer happy. So since then, I have been experiencing pain in that area off and on. I have had to be very careful with how I do things, including sitting in a chair since then. I’m back to entering and leaving the house by the back door again. I’m hoping this pain will resolve again soon. I hate it. It makes doing things, even showering, difficult or painful. If I stretch too far (according to my muscles) or move too quickly, it hurts. The Sisters are supposed to be coming on Friday to work on another room. I think I might cancel them and give myself more time to recover before we attempt another room. Will see what happens. Talk again soon. Well, it’s been a while since I posted anything. Mostly because I really wasn’t up to writing anything. During the night my cannula stopped working and they had to move the drip from the back of my left hand into my right arm. Even then, at first, it was a bit temperamental and I had to lay with my arm out straight (not exactly the most comfortable position) so the alarm wouldn’t go off, until I worked out how to move my arm very slowly into a more comfortable position, that didn’t stop the drip from working. I was woken early in the morning on the day of my surgery to get ready. I had been nil by mouth since 10pm the night before. A little after 7am they came to take me down for the operation. I was in the anesthetic bay and there was a bit of a delay. I wasn’t sure how long I was there (not wearing a watch, of course). Then they came in to tell me that there had been some sort of miscommunication. I had been scheduled for the 7:30am slot. But then the night before, they had word that an emergency patient was to be admitted and they were given the 7:30am slot, and I was to be pushed back to the 1:30pm slot later in the day. But then the emergency case was cancelled, so I was put back onto the 7:30am slot. One small problem. No one told my surgeon or anesthetist that my surgery had been put back onto the early slot! So I was sent back up to the ward, still nil by mouth. I wasn’t actually operated on until 3:30pm. It was just as well that it was delayed, because one of the brethren from Church was able to come to visit me before the surgery. He arrived after the morning visiting hours had finished, but they allowed him to stay with me until I was taken down to surgery. He was able to give me a priesthood blessing before I was taken downstairs (again). The next thing I knew it was dark and I was in the ICU ward. The bed I was in, had a direct line of sight to the clock at the Nurses’ Station. Even in the dark, I could see the clock clearly and knew what time it was. I would wake up and then go back to sleep for an hour or two. I was in a fair amount of pain, but I wouldn’t press the button for the pain relief as often as I should have done. I would make myself wait an hour. In pain the whole time. I got told off for that by the physio in the morning. The physio got me out of bed in the morning and made me walk around the ICU ward. Just once. She was pleased with the speed at which I was walking. I used the IV stand just to steady me as I walked, but not to lean on. They put me into a standard bed when I came back to my bay, ready to go back up to the ward. The difference between the two beds is that the ICU beds move. The bed would sort of move in a wave motion every so often. I also had these cuffs on my lower legs, that massaged my legs in a particular rhythm. They put the cuffs back on when they put me into the regular bed. We also worked out that the regular bed could bend at the knees…. This was great because the night before my operation, I kept feeling like I was sliding down the bed and if it hadn’t been for the sturdy foot at the bottom of the bed, I would have slid right off. By bending the bed at the knees, It stopped me feeling like I was sliding down the bed. Getting in and out of the bed was really painful. The stomach muscles hurt. A lot. The walking wasn’t too bad, although I couldn’t stand up straight. I was taken back up to the ward about 11am. I slept on and off most of the next day or so. I did get up and walk a few times, but it was a bit difficult to just get up and go because I was not only tethered to the IV, but to other things. I also had to stay in a hospital gown until Sunday. This meant I needed to have an extra gown, put on in reverse, to cover me when I went for my walks. Once I was released from everything except the IV, I was able to shower and put on my own clothes and felt a lot better. Even able to go for a walk without needing to ask anyone for help. I was kept as nil by mouth until lunchtime on Saturday. I had a wave of nausea on Friday evening and thought I would be sick. I wasn’t, thankfully. I had another one on Saturday evening. Again, it passed without being actually sick. Thankfully. Once I was permitted food, I was given a wide bowl of clear broth, a pineapple jelly (jello), a apple juice and a cup for either coffee or tea. For the first meal, I had maybe 4 spoons of the broth, and maybe 6 spoons of the jelly. It took me hours to slowly sip the juice. This was my menu for each meal. I started to stockpile the juice and brought three of four of the home with me because I was taking so long to actually finish just one. On the last day I was in the hospital, on the Monday, for lunch instead of jelly I was given a very nice lemon sorbet. All up, I was in hospital for 5 nights. The reason I was kept in for so long was the surgeon was wanting to make sure that my kidneys were working properly and the levels were returning to normal. He had been concerned because I had been so dehydrated leading into the surgery. I have to say the Prince of Wales Private Hospital was wonderful. Nice room, with just two of us in the room. We each had our own TV, with a remote control that also had a speaker, so we can listen without disturbing our roommates. Although, both of us in my room decided to wake early to watch the Wallabies in the RWC. We made sure the door to our room was closed, so that we didn’t disturb anyone else when we started cheering them on. The nurses were great, all of them. Each bed had a big board on the wall opposite the bed. On it, the nurses would write their names as they came on duty and introduced themselves, so we always knew who our nurses were. They organised for a Porter to help me get my things down to a taxi when I was released from the hospital. I decided that I would enter and leave my house through the back door for a while. At the front door, there are three or four steps to get into the house. At the back door, there is a ramp and only one step into the house. Luckily, once inside the house everything is all on one level. Much easier to get around that way. I had tried some steps at the hospital with the physio and with a hand rail, it was quite painful to manage. I don’t have handrails on the steps to my front door, but the walls are close enough to use them, but I decided the ramp at the back would be the better option at the start. Well, I think that’s enough for now. More of a recap later. Well, I can finally breathe now. If I thought Monday was bad, today was the worst. I had thought I was to arrive at the hospital tomorrow morning for my surgery later that day. Well, boy did I get that wrong. I got a phone call from the surgeon this afternoon. Apparently, my blood tests on monday showed that I was a bit dehydrated & he wanted me to book into the hospital this afternoon, rather than tomorrow as planned so I could have intravenous fluids before the surgery. Now if I owned a car, this wouldn’t have been much of an issue. But I don’t own a car. I needed to get Hamish to his boarding this afternoon (that had been planned that way in advance). That’s two buses to get there, and two buses to get back! Plus, I had planned to bring in my washing & fold it, clean the litter boxes, put out the rubbish bins for pickup tomorrow and finish packing my bag for the morning. Well, i got the cat to the boarding & came home. Unfortunately, in the heat & with the added stress of the changed plans, My stomach decided it was going to have one last day of ‘not happy, Jan’. This put me behind getting things done in the hour and a half I had before I needed to leave for the hospital. At one stage I was a little light headed because of the rushing & stress. The washing is in, but not folded or put away. The litter boxes aren’t washed out. No solid waste in them though. The bins are out. I changed my mind about which bag to use to bring my things to hospital about half an hour before leaving. One consequence of that….. I realise that I must have left my blood pressure medication in the other bag when I changed over! They were supposed to weigh me, but they haven’t done so yet. Maybe they will do it in the morning. I weighed myself this morning (before the stress kicked in) & I had lost that weight I gained yesterday, and a little more. At home I weighed 135.2kg, for a total loss of 10.5kg & a BMI of 50.9. Well, I am now settled into my hospital room. I have a TV so that will help keep me entertained. My left hand is stinging a little, so I may stop now. Not sure about being able to recharge devices, but I have brought the chargers to do it. 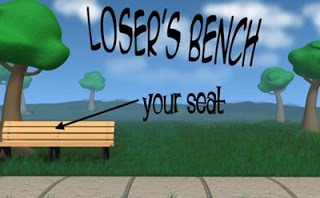 Well, I guess my next report will be from the Loser’s Bench. Talk to you then. Well, I guess it had to happen sometime in this process. My weight went up today. Not by a lot. Just 300gm to 153.7kg for a total loss of 10kg. Not sure why this has happened. It’s not like I am actually eating anything. But I’m not going to beat myself up about it. Just one more day of this part of the process to go. I started to look at hotels for my stay in Salt Lake next year. I think I may have found one. It’s a little bit further away from Temple Square than I would have liked. A little over a mile. But it has a guest laundromat, sio I will be able to wash my clothes before I fly home. That will mean less to do when I arrive home & less dirty clothes for Customs to search through (should they decide to have a look). By the time I get to Salt Lake walking over a mile, even in heels, should be doable for me. Once the surgery is done & I get the clearance from my surgeon, I will be able to not only lose weight, but improve my health & fitness levels. The closer the surgery comes, the emotions are all confused. Excited, nervous, a little frightened. Only one more day on the pre op diet to go. Hamish goes on his holiday tomorrow. I have had to put his dry food inside a container because no matter how heavy an object I would put in top of the closed & folded bag, he would somehow get the bag on the floor. I didn’t find dry food all over the floor, so I’m not certain he actually get into the food. He’s on a very strict diet & I can’t afford for him to over eat. His stomach doesn’t cope with too much food at one time. He will never be a ‘grazer’. Instead, he will always be fed specific amounts throughout the day. It’s a little bit of a pain, & he always wants to be fed, but he is growing. He’s sitting on the recliner with me. Sitting on the arm against me. Will miss him while he’s on his holiday. Tomorrow is a big day. Sending Hamish away, packing for hospital, last minute shopping & cleaning. I will know tomorrow afternoon what time I need to arrive at the hospital & surgery will be about an hour & half later, It’s getting closer. Boy, today has been a day & a half. I had to be at the hospital at 9am for the pre admission clinic. So, I got up early (that wasn’t hard, because I didn’t sleep well last night) & left the house about 7:45am to walk to the bus stop. The first bus was on time. However the traffic was insane. Despite it only being a 10-12 minute bus trip to where I needed to change buses, it took more than 20 minutes. Because there was now going to be almost no time to change levels in order to catch the second bus, I got off one stop early & walked to what would be the next stop for the second bus. Ii just made the connection by doing that. Even that bus was effected by traffic. So instead of arriving at around 8:40am, it was after 8:50am. Now the walk to the Private hospital, is quite a long walk. You have to walk a block through the Public hospital, then go down two floors, then walk along about half the width of the complex & up 5 levels to the Private hospital. Well, the clinic was ‘fun’. More specifically, there was some sort of issue with the automatic blood pressure machines whenthey tried to take my blood pressure. It took 3 different machines, and 4 attempts before it finally worked. Problem was that the first 3 attempts almost squeezed my arms off (they tried on both arms, two each eventually) as the first three attempts had the machine squeezing until the machine read 225! Now, I’m not saying these machines are ever comfortable when they take your blood pressure, but this was extreme! The nurse was as purplexed as I was as to why it wouldn’t work. I had to weigh in at the clnic. So, this morning’s weigh in was the same way as at the Surgeon on Day Three, that means fully clothed & wearing joggers. So, the result was 138.1kg. So I have met the surgeon’s target of 5-7kg weight loss before the surgery, and I still had 2 and a half days to go. I then had to go up to level 7 & walk around the corridors to get the blood tests redone. After I finished with the blood tests, I schleped all the way back tomthe bus stop & went to Bondi Junction. My hair has been very long, for quite some time. Almost down to my waist, and extremely thick. When my hair is that long, I wear it in a plait (braid), almost all the time. Especially at night. At times, when it is out of teh plait, it can get in the way when I have a handbag in the arm. I knew that it would be annoying for my time at hospital. I know I will have a drip in my arm for at least part if the time, so doing my hair would be a problem. SomI decided to get my hair cut. The plan was to cut it to about my armpit level. Still quite long by most people’s standard, but quite a bit shorter for me. When I had my hair cut in a similar way, for a similar reason when I broke my left wrist in 2001, I cried. The hairdresser asked why I was crying & I said, ‘It’s short!’. The hairdresser said, ‘No, it’s still long!’ Well, not this time! The hairdresser cut my hair significantly shorter than I had asked them to do. Now my hair is only just past my shoulders! Not sure I like this’. It is VERY short for me. With the amount of hair I have, I’m not sure this is good. I then went to have my acrylic nails removed. I had checked at the hospital, because I had heared conflicting information as to whether I needed to have them removed or not for the surgery. Apparently I needed to have at least one removed. My nails needed to be infilled, so I decided it would make more sense to remive them all & start fesh once I recover from the surgery. By the time I had finished with that, I was getting quite exhausted. I really should have gone to Spotlight to lok for nicer buttins for the baby gift I am making for a friend. I bought some buttons on the way to the dentist last week, but I wanted to see if I could get cuter, nicer ones at Spotlght. I didn’t have the energy. Instead, I walked back to the bus interchange & just managed to catch the first of two buses without needing to wait. Then I got the second bus, & finally got home about 1:45pm. A good 6 hours after I left. I ahd my lunch & then went to have a nap. Wasn’t very restful. A combination of the heat, the storm the arrived during the afternoon & my mind & body wouldn’t settle. As the date for the surgery gets closer, the more I feel a combination of excitement & nerves. I will know what time I have to arrive at the hospital, & when to stop eating the night before when the hospital phones me sometime between 4-7pm on Wednesday. So it is definitely getting real now. Only a few more days to go until everything changes forever. i weighed in at home today, wearing what I have always worn when I weigh in. My jammies. This means there is a difference between what my scales say & what the surgeon or clinic says due to what I am wearing there. So, I had a good loss today. I lost 1.1kg today & my weight at home today is now 135.3kg, for a total loss of 10.4kg. Still a couple more days to go in the pre op process. I will be weighed again at the hospital before my surgery. I had a bit of a scare last night. About midnight, or a bit after, I started to get really strong pain in my stomach & started to feel cold & clammy. I thought I was going to be sick. I spent some time in the bathroom at the sink, running cold water over my wrists & splashing water onto my face. Thankfully, it subsided without my actually being sick. I hate it when that happens. Not the not throwing up, but the feeling that I am about to do so. I have been very tired the last two days. Maybe that’s why I have been tired. Hopefully things will get better from here. On the final stretch now. Three more days of the liquid diet to go. I have my pre admission clinic at the hospital in the morning. Thankfully, the cough appears to have finally gone. Touch wood. I haven’t coughed at all today. The weight loss was another small one today. Just 200gms. But I am edging ever closer towards 10kg since I started. I know weigh 136.4kg, for a total loss of 9.3kg. Will see what happens tomorrow. I presume that I may be weighed tomorrow. Will be interesting toxomapre thatwithhow much the surgeon’s scales said ten days earlier. He wanted me to lose between 5-7kg. On my scales, I have done that & even more. As the surgery gets closer, I can start thinking about what will be happening on the other side. Thinking about being able to exercise. Walking distances. Not sure when I will be given permission to start exercising. It might be a couple of weeks, or maybe longer. Not sure yet. Don’t want to get too far ahead of myself. I realised today, that when I started this, I should have taken my measurements, so I could track how things were going even if the scales don’t move. I’ll do it tomorrow. Again, not a lot of insights today. But at the start if this, I committed to report (even if no one else reads thsi) every day. So far, I have kept that committment. Report again tomorrow. Well, today is a small loss day. Only 300gm. I now weigh 136.6kg, total loss 9.1kg. Guess this is a bit of a pattern. Some days little losses, some days big ones. With an average daily loss on slightly over 900gms, I’m not complaining . starting to think about what to take/wear while in hospital. Starting to get things together. I bought the new enhanced editions of the Harry Potter series for my iPad & put the first one onto it. Gives me something to read. Probably over estimating my desire to do anything after the surgery, but just in case…. I don’t have a lot to say today. Just feeling a little tired. So I guess I don’t have any insights really this time. But I committed to report every day, and so that is exactly what I am doing. Even if there isn’t much to say. Well, this was a much better weight loss today. Now weigh 136.9kg, for a total loss of 8.8kg. At this rate, I am smashing the surgeon’s request to lose 5-7kg before the surgery next week. Mind you, as I lose weight, Hamish is getting bigger. I put a bowl on the kitchen scales & put him in the bowl. He’s around 2.5kg now. He turns 20 weeks next week! He is definitely going to be a big boy. Especially compared to Breagha. She was never any bigger than 3.5kg her whole life. I always knew she was on the smaller size for a Ragdoll, but he’s going to be at least double her size, I think. If not even bigger. Really starting to look forward to eating food, rather than just drinking it. Have had a couple of occasions where I could have mrdered for a hamburger or even a slice of pizza. Pork crackling. Mmmmmmmm. But totally off the menu at this stage, and possibly forever. Just have to push theough this point. Less than a week to go & I don’t want to sabotage it now. Monday will be a busy day. Early appointment with the pre admission clinic for my blood tests. Then off to Bondi to get a hair cut (not a short haircut, but a significant amount off) so I can deal with it a bit better during hospital. Plus, I will go to Spotlight to look for nicer buttons for the baby gift, if I can find them. As well as getting my nails done. Either infill or total removal. It will depend on what the hospital says. Some patients with this surgery have been told they have to remove their nails so that they are better able to monitor their vitals. Others haven’t been given this instruction at all & everything was fine. So, we’ll see what I need to do on Monday. Report more tomorrow. Not that much longer now. I will be here in a week. Well, the weight loss is better today. 138.4kg, total lost 7.3kg. I was a little concerned when I lost so little yesterday, only 200gms. But things seem to be back on track today. I got my letter from the surgeon outlining my medical history, current weight, BMI, etc. In it he talks about what procedure he plans to do. He also talks about the goal weight he is setting for me. He has set a goal of 100kg. Well, that’s not enough for me. I want to lose more & be under 100kg. A weight of 100kg would still make me Morbidly Obese, instead of the current Super Morbidly Obese. I would like to get into the overweight range, if not the normal weight range. I guess a target of 100kg is a start. We are now a week in to the process, preparing for the surgery. Not sure of the exact time for the surgery, but a week from now, I will be on the other side & on what some call, ‘The Loser’s Bench’. It’s all getting very real.